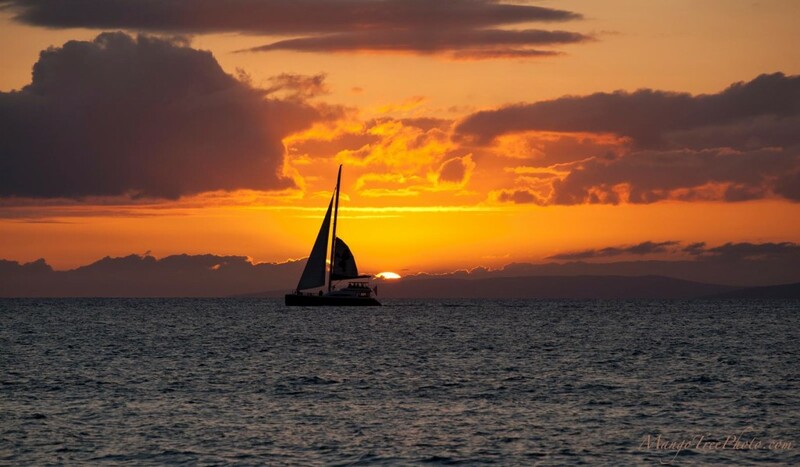 A sunset sail makes way on cool evening breezes off the island of Maui. Even with average temperatures in the mid-80’s, being on the Pacific as the sun disappears brings jacket weather. No worries though, as Maui’s harbors are warm and friendly, welcoming you back with aloha.